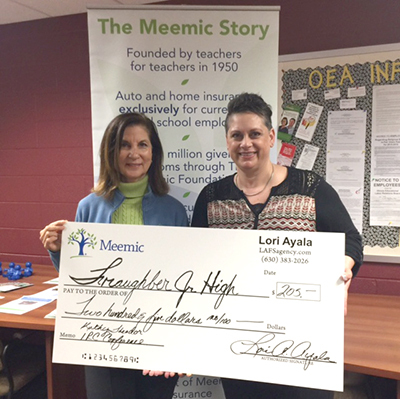 Lori Ayala of L.A. Financial Services recently held a lunch and learn session at Traughber Junior High in Oswego and presented teacher Kathy Theodor with a special award. LAFS helped fund her trip to the Illinois Reading Conference. Congratulations, Kathy – hope you have a great time!